Diba True® is a mainstream brand of proven fashion footwear. Designed and developed for real-life, our collection features a combination of upgraded styling, materials and colors. This collection was developed to meet the real life needs of a discerning, fashion-conscious consumer. Diba True® - For Real Life. The Diba True® Ambassador Program is open to U.S. candidates that are over the age of 18 and are a fit for the Diba True® Brand. 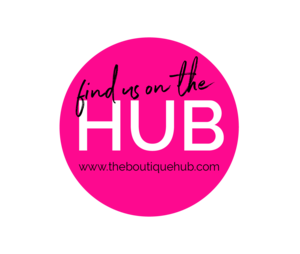 A Brand Ambassador embodies the Diba True® lifestyle and documents your experience with Diba True® as fashion bloggers, style influencers, and highly engaged social media masters to help expand the Diba True® Brand. • Do you have great style and love fashion footwear? • Are you active within the social media network and have a high engagement of followers? • Do you stay on top of fashion footwear trends and love to share your finds with others? • Do you understand how to take stylized photos and create engaging, yet informative content? • Do you understand how to use hashtags, promotional codes, affiliate links and tags on all social media platforms? • Help promote and bring awareness to the Diba True® Brand through the web and social media platforms. • Become an extension of the Diba True® family and have a great passion for Diba True® products. • Share your story of how the Diba True® Brand fits into your lifestyle by documenting your experience with Diba True®. • Share your curated content with Diba True® in the form of high-quality images and videos to share throughout the web and social media platforms. • When posting on social media please tag (@dibatrue) on all social platforms and use product links to the product pictured or use the link of the home page www.dibatrue.com You can also insert the hashtags #dibatrue #dibatrueambassador along with your post. • The shoes that you will receive are best sellers and new arrivals, so posts need to be active on social media platforms no more than 21 days after shipping confirmation is confirmed. If you have a delayed posting date, please email marketing@dibatrue.com in advance. • We reserve the right to collect photos of posts on social media platforms. All photographs and content will have the opportunity to be featured on Diba True® social media platforms and promotional campaigns. • A curated package of Diba True® products and promotional items. • Unique discount codes for your followers, friends, and family to enjoy special saving. • A monetary percentage of sales individually tracked through personalized discount codes paid out quarterly. · You will receive shoes that are new arrivals and best sellers along with personalized codes and affiliate links that you can share on your social platforms. You must reapply each term if you would like to continue the Diba True® Brand Ambassador Program.